A severe lack of communication has resulted in hundreds of students being fined. University of Limerick students have been left outraged after hundreds of students were fined for “un-paid fees”, despite many of them saying they were given no warning that they had overdue fines. 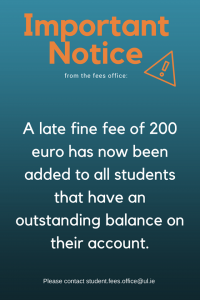 The €200 fine was implemented to the students yesterday, and has been given to every student who has yet to pay the entirety of their fees. Most of the students fined owe as little as €36, but were still notified that they would face a fine of €200. The €36 in question is for a “levy” which has been put in place to fund the new Student Life Centre which is estimated to be built by the year 2020. This is the first year that the levy has been put in place and due to a severe lack of information, many students were un-aware they had to pay it. Megan Ryan, a third year Science Education student was notified today that she had been fined. “I had no idea I had outstanding fees, I’ve no clue where they came from. “I didn’t get any email notifying me I had to pay, if I did I would have paid it,” said Megan. Chelsie Graham Moloney, a second year Politics and Public Administration student says she wasn’t aware she had even been fined until she received a text from one of her friends. “I got no emails from anyone- I just heard from my friend. I didn’t even know about the €36 for the student centre which I’m literally not paying anyway,” she said. Chelsie says that she has no intention of paying the fine, or the €36 levy for the new student centre. “The €36 is a load of b*llocks, I’m still not paying for something that won’t be built until I’m after leaving UL,” she said. Megan Thornton, a second year Journalism and New Media student also received the fine. “I was fined €200 and then like the €36 is still there so that’s in my balance, I don’t know when I was charged. “I had no email notice at all, I literally saw nothing I was told through a group chat from other people. The last email I have regarding fees is from the 23rd of October 2017, which mentions nothing about the levy and didn’t mention how it wasn’t covered by SUSI and that’s the case with a lot of people I know too,” said Megan. Megan has been left in shock regarding the notice. “I haven’t been told why I had to pay it by anyone official and checking now, it says ‘EU Student Centre levy’ which I wasn’t aware of and didn’t know what it was about. I don’t know what to do right now it’s just a shock. “I think I should have to pay the levy and have no problem doing so, but as for the fee no, because we got no official contact from the fees office or the university at all about outstanding levies despite my one from last semester being so overdue, it was literally a case of not being notified,” she said. Megan says that if she had been made aware of the levy beforehand, she would have had no problem paying, but like many of the students affected, she thought that SUSI was covering the fee. “Of course if I had known, I would have paid the levy but I thought SUSI covered all my fees. “I think they should have notified students officially about the levy so I don’t think it is fair really on students who would have paid if they had known,” she said. “In response to the numerous messages and emails we have received on the fee fines, we having been corresponding with senior management, fees office and the communications department all morning trying to get the best possible outcome for students. “We are aware that there was an appalling lack of communication by the fees office to students around fees owing, and we have highlighted this with senior management,” she said. “Students now have until Friday April 20th to pay their outstanding fees (the €36 student levy for the student centre and sports facilities, as well as outstanding academic fees). T”his excludes the €200 fine. For example: if you owe €236 at current, pay the €36 and the €200 will be revoked. Students in receipt of the SUSI grant also need to pay the €36 as this is not covered by SUSI,” Roberta explained. The University of Limerick have also released a statement in response to the outrage caused by this fine. 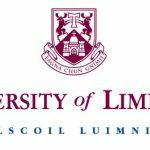 “University of Limerick regrets causing concern to some of it’s students who this week have received notification of a €200 late payment of fees fine. The fine has arisen due to the non-payment of fees and in some cases the amounts unpaid are very small e.g. the non-payment of the new UL Student levy of €18 per semester. “UL accepts students were not sufficiently informed of a clear deadline for payment of the UL Student Levy and has agreed with the President of the ULSU to move the deadline for payment of the levy and outstanding academic fees by a month to April 20th. 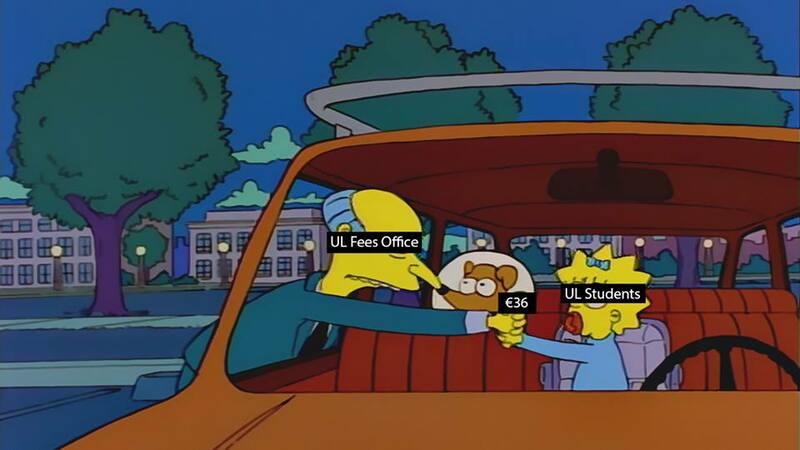 UL and ULSU wish to reassure students that as long as all outstanding fees are paid by 20th April the fine will be removed from their individual accounts. 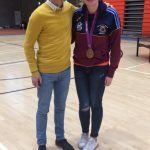 “In April 2016 UL students voted 78.75% in favour of the introduction of a staggered levy towards the build of a new student centre and sports facilities,” said Sheena Doyle Communications Manager for the University of Limerick.